after opening, the utility and the provincial government declared the project an unqualified success. 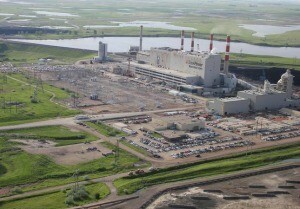 The utility that runs the project, SaskPower, and advocates for carbon capture argue that the setbacks are typical teething problems associated with any new and complex technology. The Boundary Dam Power Station sits near a wealth of resources not far from the North Dakota border. Hundreds of years of coal reserves are buried under the ground nearby, virtually eliminating transportation costs. And the mining creates employment in an area with limited job prospects.